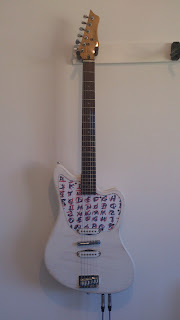 Tailed bridge guitar, based on Yuri Landman's strat eraser project. 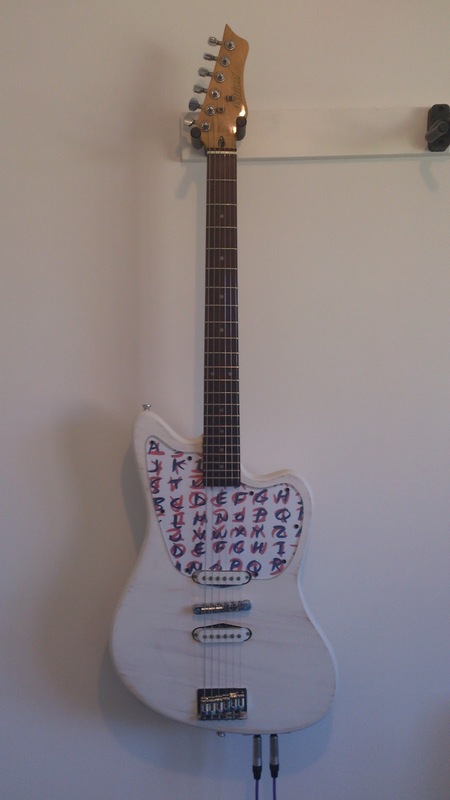 Fender Jazzmaster body design. Tail tuned to 5th harmonic of the neck, with pickup behind the bridge.This makes massive resonance on some frets. 1+2 - Guitar and Tail (stereo). Plug into two amplifiers.